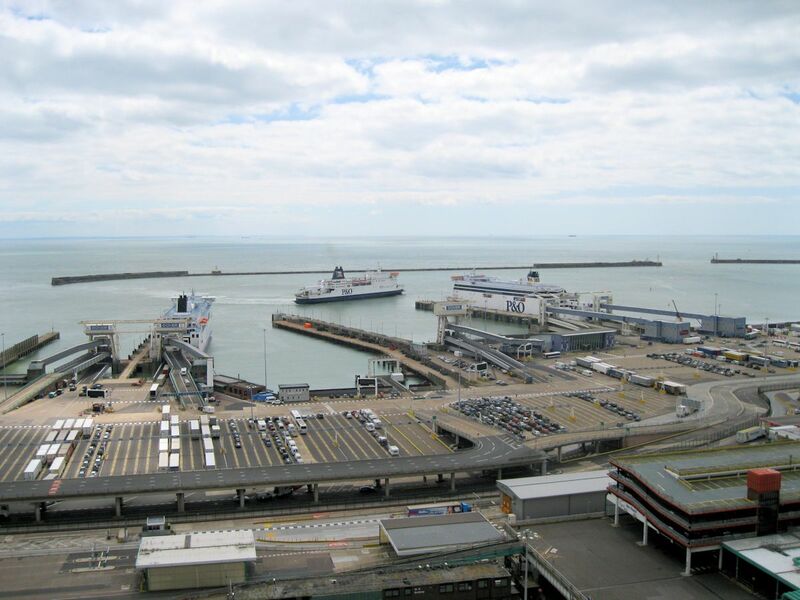 Dover is the busiest passenger ferry terminal in the world, the busiest cruise liner terminal in Britain and a major port for freight, particularly for fruit and other perishables imported via the massive reefer cargo ships. The origins of the Port of Dover can be traced right back to Roman times. Throughout history Royalty has taken a keen interest in the Port of Dover. Richard Coeur de Lion departed from Dover on the Third Crusade and in 1422 Henry V was brought back through Dover after his death in France. Following his departure from Dover to meet the French King at the "Field of the Cloth of Gold", King Henry VIII became interested in improving the Harbour and ordered that the promontory be extended to form a pier. The work however, was never fully completed, as the still water in the lee of the pier caused a deposit of shingle across the front of the bay. This was the beginning of a very difficult period in the history of the Harbour for the artificial obstruction into the sea caused frequent deposits of shingle across the entrance. During the 300 years that followed, many schemes were put forward in an endeavour to prevent or cure this problem. King James I gave Dover Harbour Board its Royal Charter in 1606 placing the Lord Warden and his "Board" in charge of running the port and since then the constitution of the Board has been changed on a number of occasions by Acts of Parliament to its present status of eight, a Chairman, and four other members appointed by the Secretary of State, two ex officio members and an eighth member appointed by the other seven. The present Board was created and incorporated by statute and is, therefore, a statutory body and has no shareholders to whom it is answerable. The construction of the harbour of refuge was taken a step further in 1897, when construction commenced on the Eastern Arm, the Southern Breakwater and the extension to the Admiralty Pier. This work, which is generally acknowledged to be one of the greatest feats in port construction of its time, was completed in 1909. The walls and piers were built of large blocks weighing from 30 to 40 tons. These blocks were made of concrete, with a granite facing to those that were to be placed on the outside faces of the walls above water level. Since the last War, considerable development has taken place at the port to keep pace with the demands from passengers, tourist cars, and roll-on roll-off freight. In the summer of 1978 a £12m Hoverport was opened at the Western Docks following the reclamation of 15 acres of land. In 1953, Dover's first two drive-on drive-off ferry berths were opened at the Eastern Docks. Until then cars and even coaches had been craned on and off ferries. In the first year it was anticipated that we would handle about 10,000 vehicles per year - 100,000 movements of cars, coaches and motorcycles in fact materialised. By the late 1960s it became increasingly obvious that further increases in traffic, especially as ro-ro freight had arrived on the scene, Dover Harbour Board would have to provide additionally ferry berths. Work on No. 3 Berth, another double-deck, single-width, linkspan was begun. There is also a large marina at Dover, consisting of a tidal harbour and two enclosed docks, the Wellington and Granville Docks, located in the heart of the town (see last photo under 'More Photos').